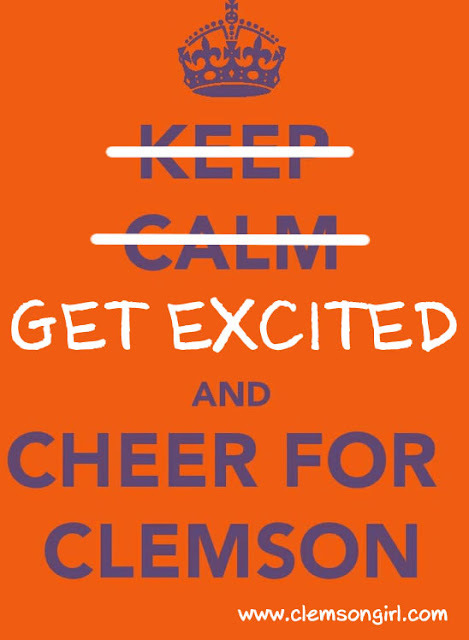 Clemson Girl: Keep Calm? No...Get Excited! I've seen this image around a lot recently - on t-shirts, koozies, Pinterest...and yes, we repinned it too. Calm? Hmm... not so much. Happy Friday - it's finally here. TGIF! !